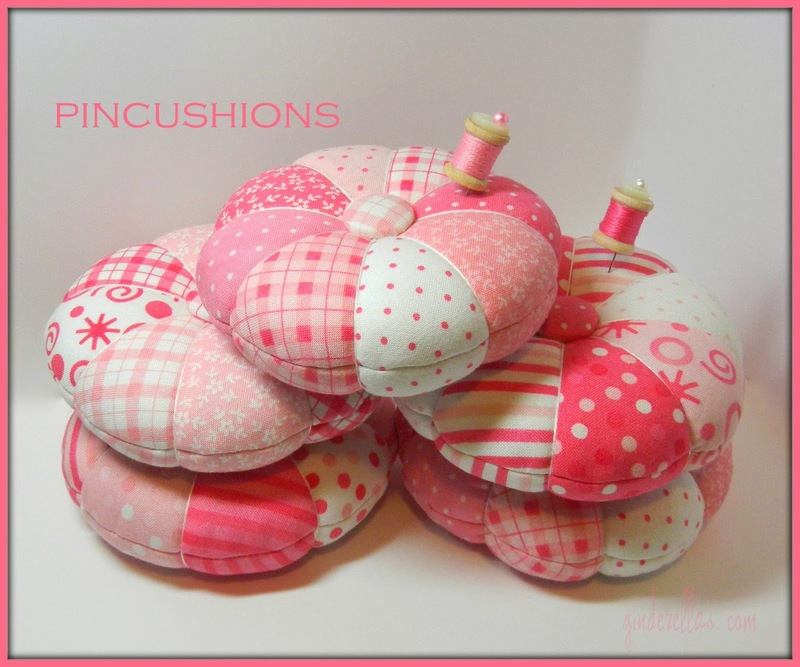 I have a added a couple of round pink pincushions to my Etsy shop. The pincushion measures around 4"wide and 1" tall and is filled with natural crushed walnut shells. Each has a mini spool pin to match.